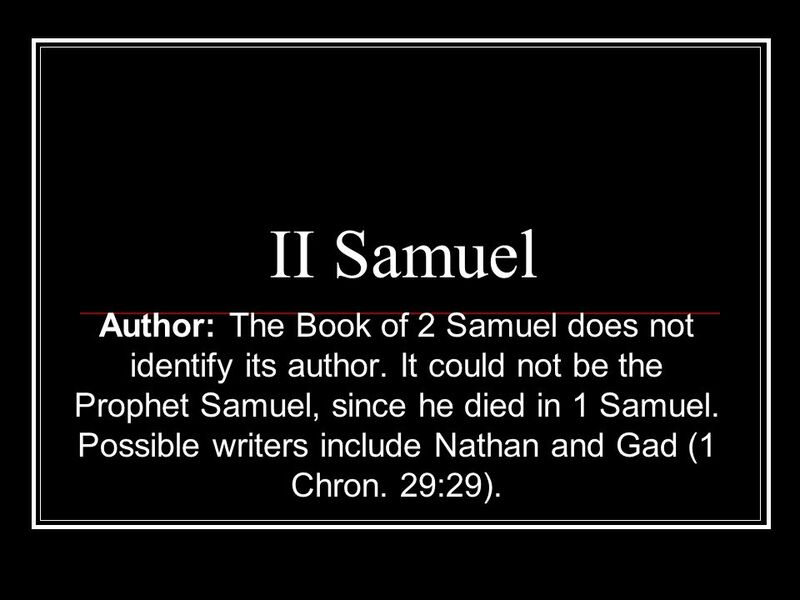 II Samuel Author: The Book of 2 Samuel does not identify its author. It could not be the Prophet Samuel, since he died in 1 Samuel. Possible writers include. 1 II Samuel Author: The Book of 2 Samuel does not identify its author. It could not be the Prophet Samuel, since he died in 1 Samuel. Possible writers include Nathan and Gad (1 Chron. 29:29). 3 Key Verses 7:16 and 23:5 And thine house and thy kingdom shall be established for ever before thee: thy throne shall be established for ever (2 Sam. 7:16)....[God] hath made with me an everlasting covenant, ordered in all things, and sure: for this is all my salvation, and all my desire... (2 Sam. 23:5). 4 Key Verse, 2 Sam. 24:24 "But the king replied to Araunah, 'No, I insist on paying you for it. 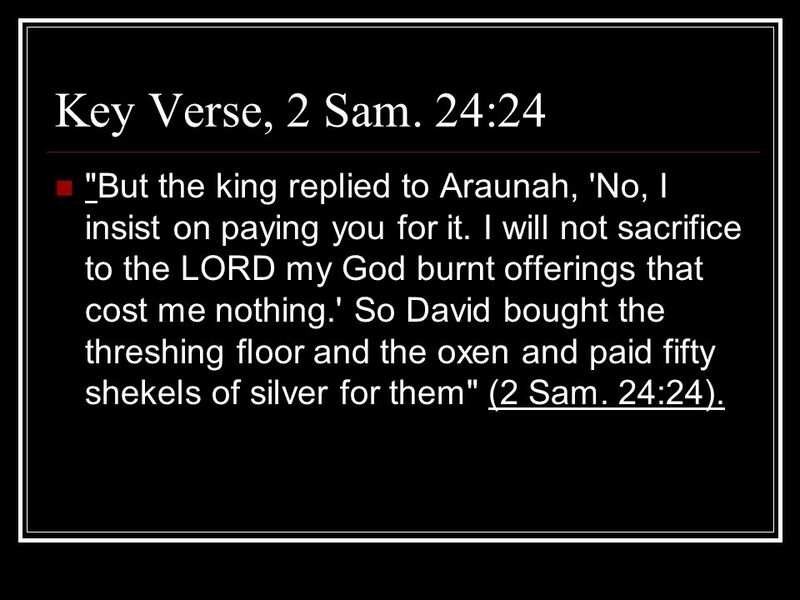 I will not sacrifice to the LORD my God burnt offerings that cost me nothing.' So David bought the threshing floor and the oxen and paid fifty shekels of silver for them" (2 Sam. 24:24). 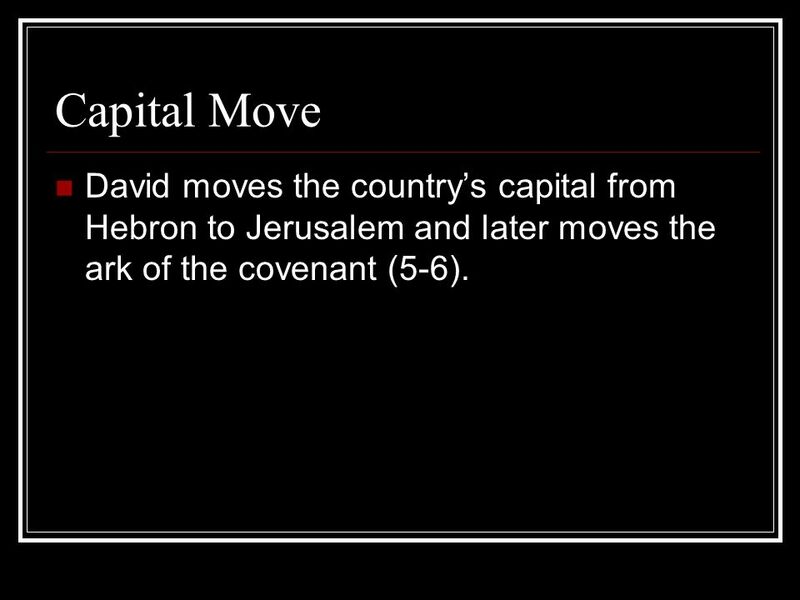 5 Capital Move David moves the countrys capital from Hebron to Jerusalem and later moves the ark of the covenant (5-6). 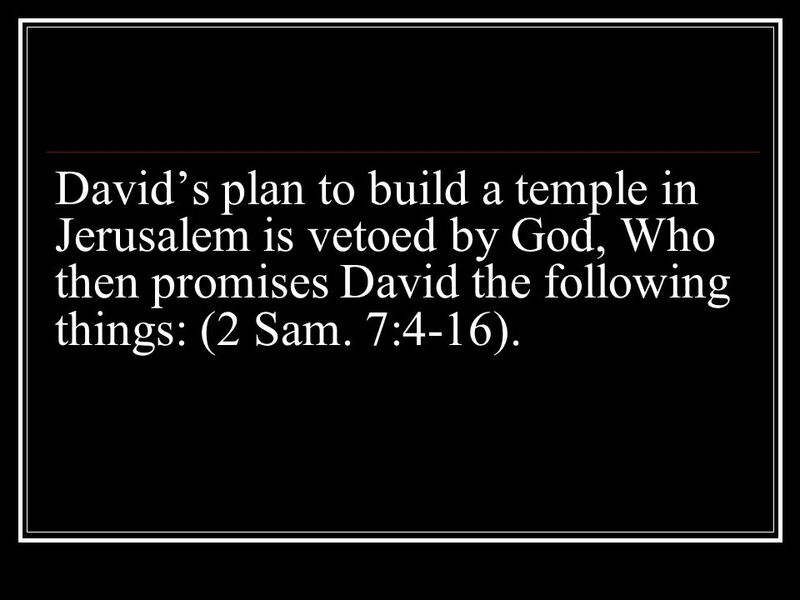 6 Davids plan to build a temple in Jerusalem is vetoed by God, Who then promises David the following things: (2 Sam. 7:4-16). 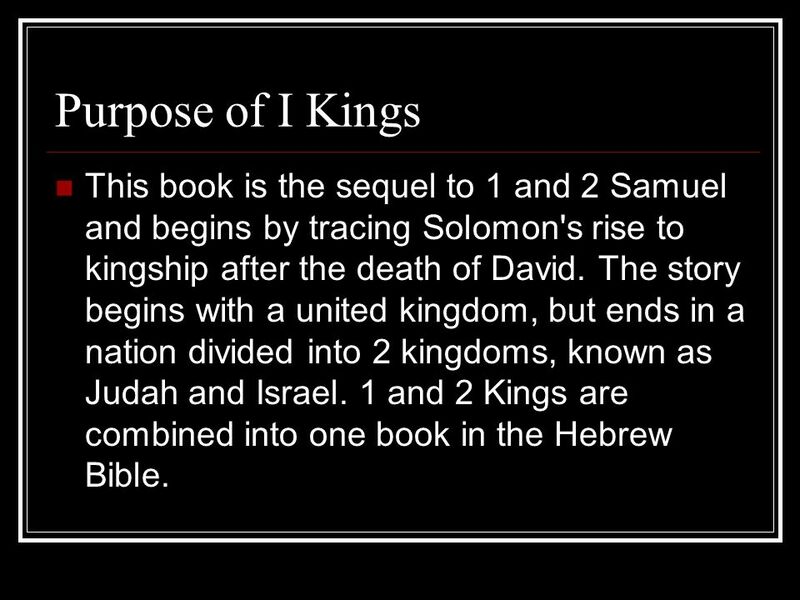 9 Purpose of I Kings This book is the sequel to 1 and 2 Samuel and begins by tracing Solomon's rise to kingship after the death of David. The story begins with a united kingdom, but ends in a nation divided into 2 kingdoms, known as Judah and Israel. 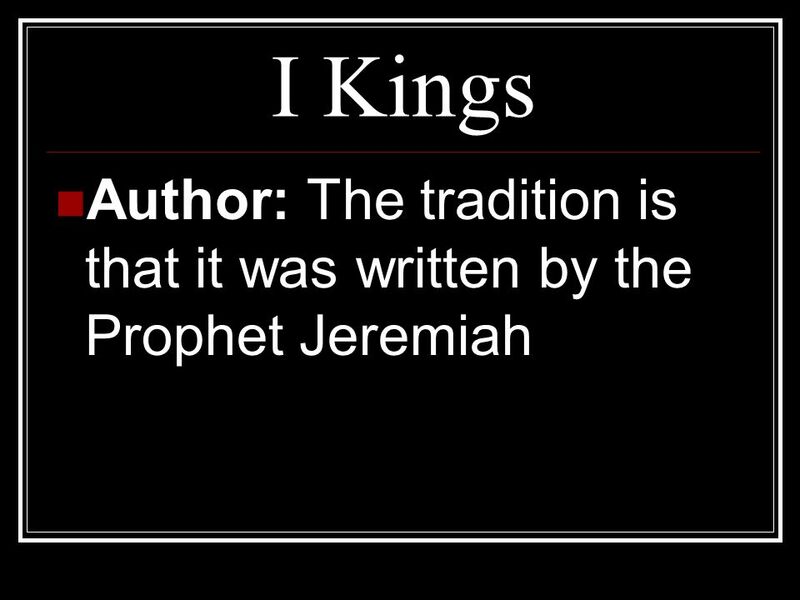 1 and 2 Kings are combined into one book in the Hebrew Bible. 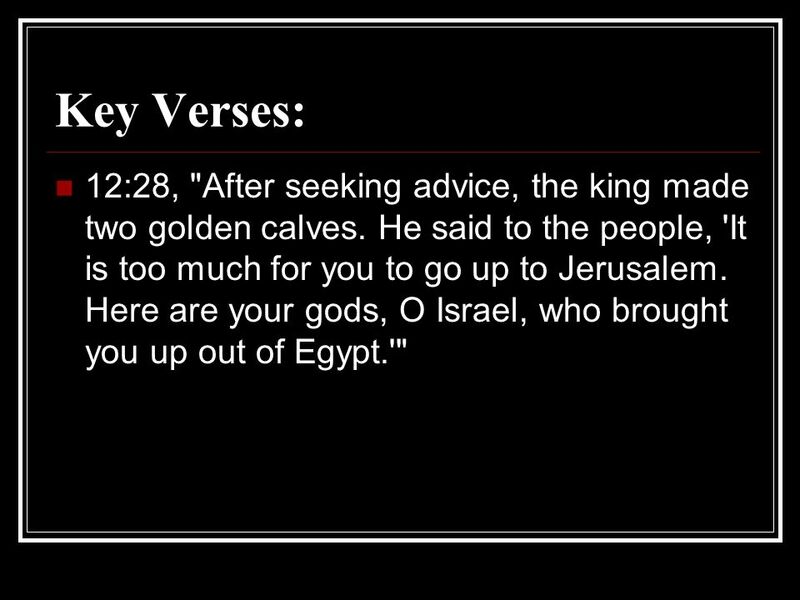 10 Key Verses: 12:28, "After seeking advice, the king made two golden calves. He said to the people, 'It is too much for you to go up to Jerusalem. Here are your gods, O Israel, who brought you up out of Egypt.'" 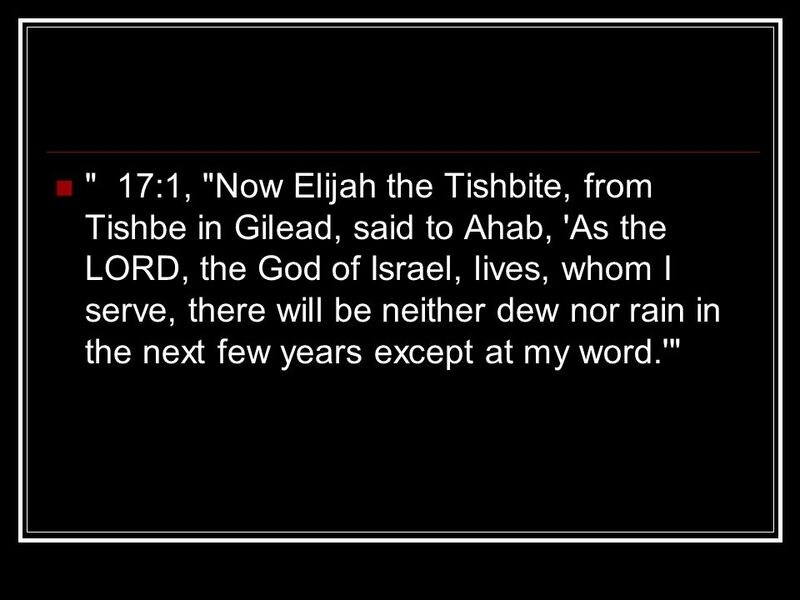 11 " 17:1, "Now Elijah the Tishbite, from Tishbe in Gilead, said to Ahab, 'As the LORD, the God of Israel, lives, whom I serve, there will be neither dew nor rain in the next few years except at my word.'" 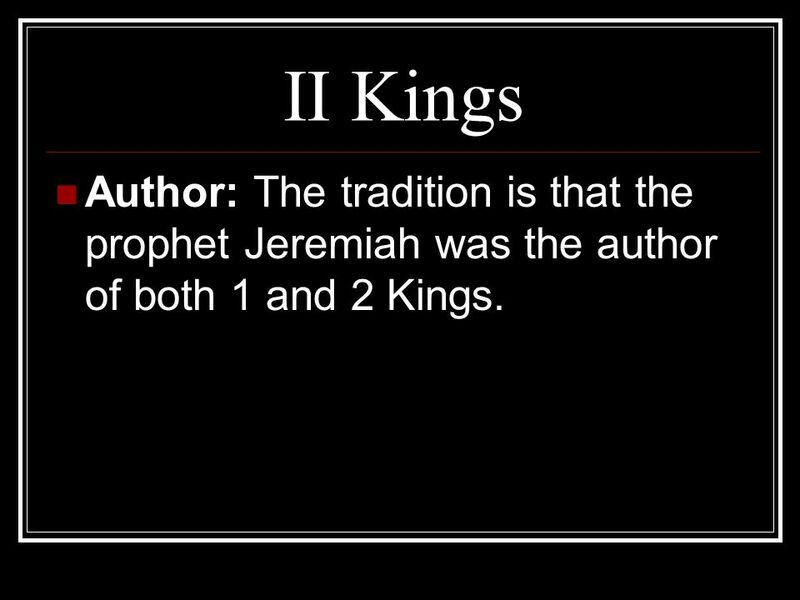 12 II Kings Author: The tradition is that the prophet Jeremiah was the author of both 1 and 2 Kings. 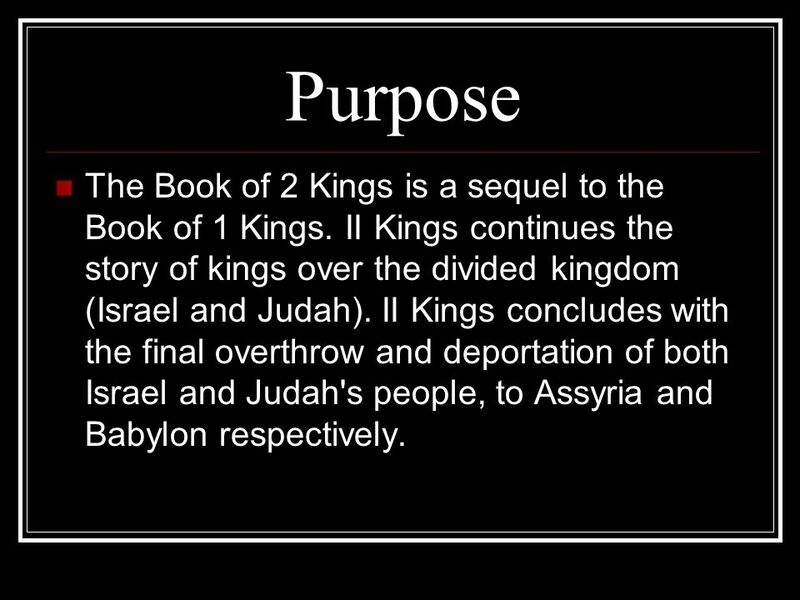 13 Purpose The Book of 2 Kings is a sequel to the Book of 1 Kings. II Kings continues the story of kings over the divided kingdom (Israel and Judah). II Kings concludes with the final overthrow and deportation of both Israel and Judah's people, to Assyria and Babylon respectively. 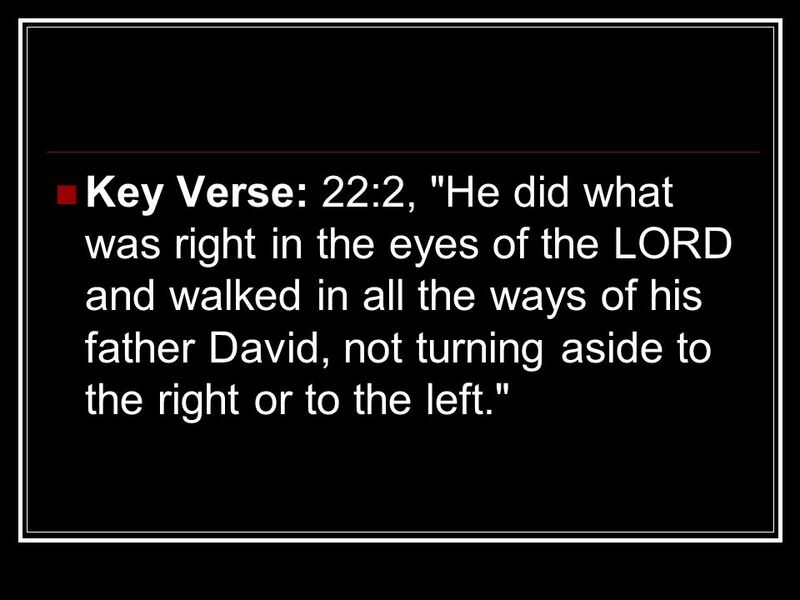 14 Key Verse: 22:2, "He did what was right in the eyes of the LORD and walked in all the ways of his father David, not turning aside to the right or to the left." 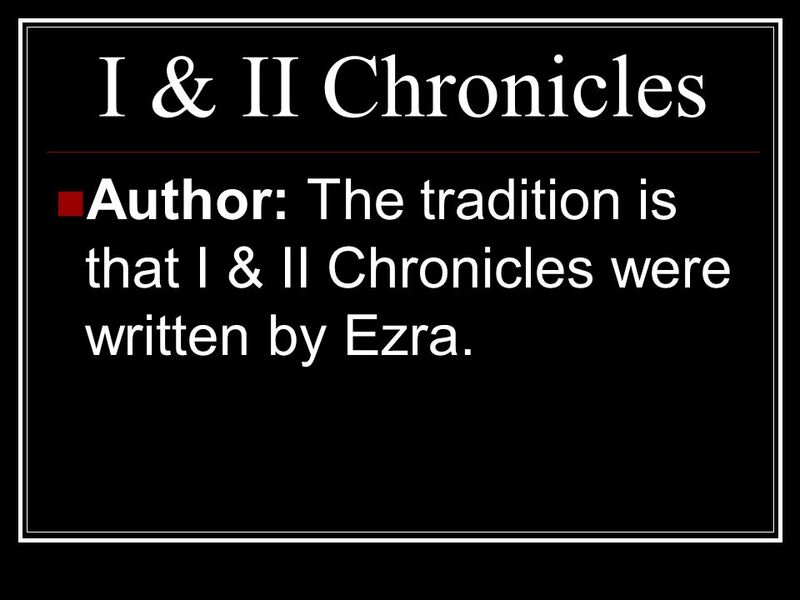 15 I & II Chronicles Author: The tradition is that I & II Chronicles were written by Ezra. 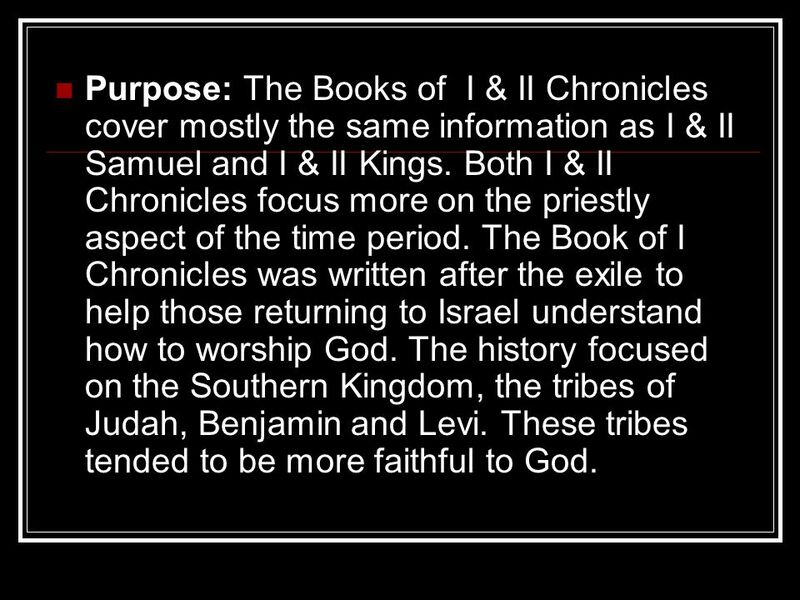 16 Purpose: The Books of I & II Chronicles cover mostly the same information as I & II Samuel and I & II Kings. Both I & II Chronicles focus more on the priestly aspect of the time period. The Book of I Chronicles was written after the exile to help those returning to Israel understand how to worship God. The history focused on the Southern Kingdom, the tribes of Judah, Benjamin and Levi. These tribes tended to be more faithful to God. 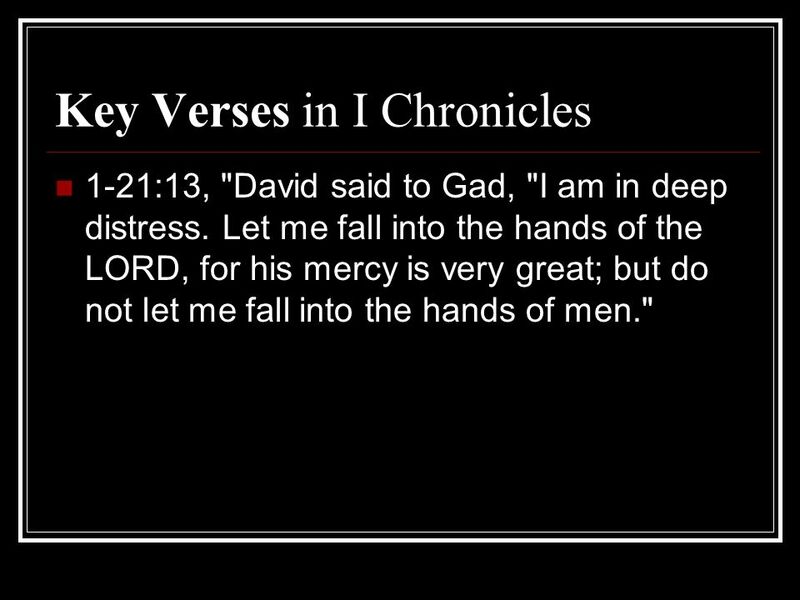 17 Key Verses in I Chronicles 1-21:13, "David said to Gad, "I am in deep distress. Let me fall into the hands of the LORD, for his mercy is very great; but do not let me fall into the hands of men." 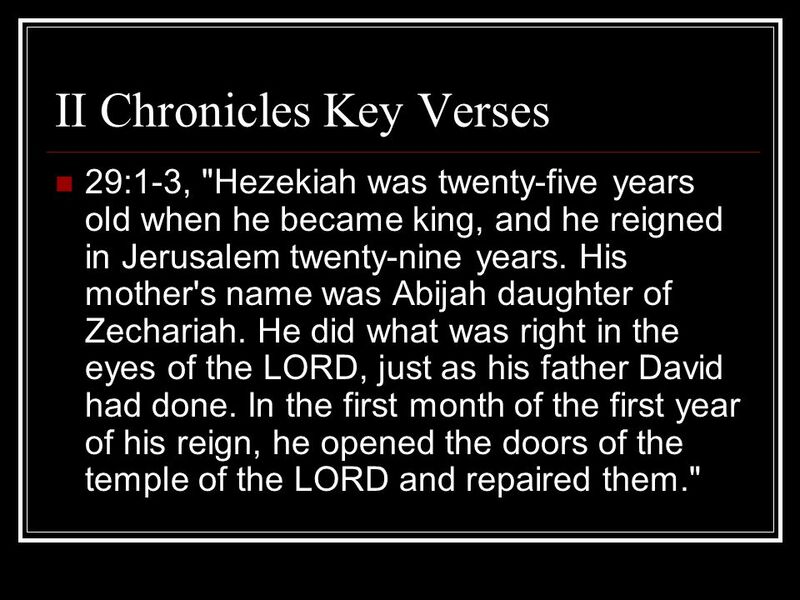 19 II Chronicles Key Verses 29:1-3, "Hezekiah was twenty-five years old when he became king, and he reigned in Jerusalem twenty-nine years. His mother's name was Abijah daughter of Zechariah. He did what was right in the eyes of the LORD, just as his father David had done. In the first month of the first year of his reign, he opened the doors of the temple of the LORD and repaired them." 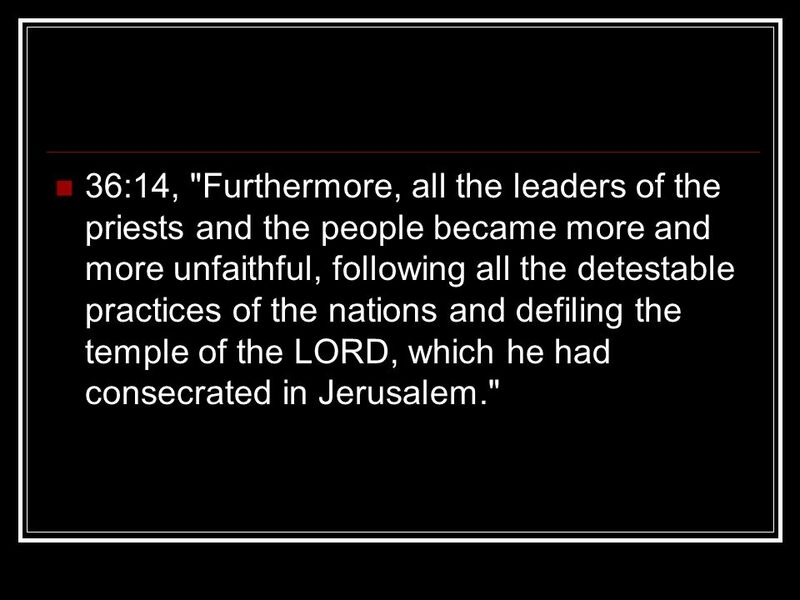 20 36:14, "Furthermore, all the leaders of the priests and the people became more and more unfaithful, following all the detestable practices of the nations and defiling the temple of the LORD, which he had consecrated in Jerusalem." 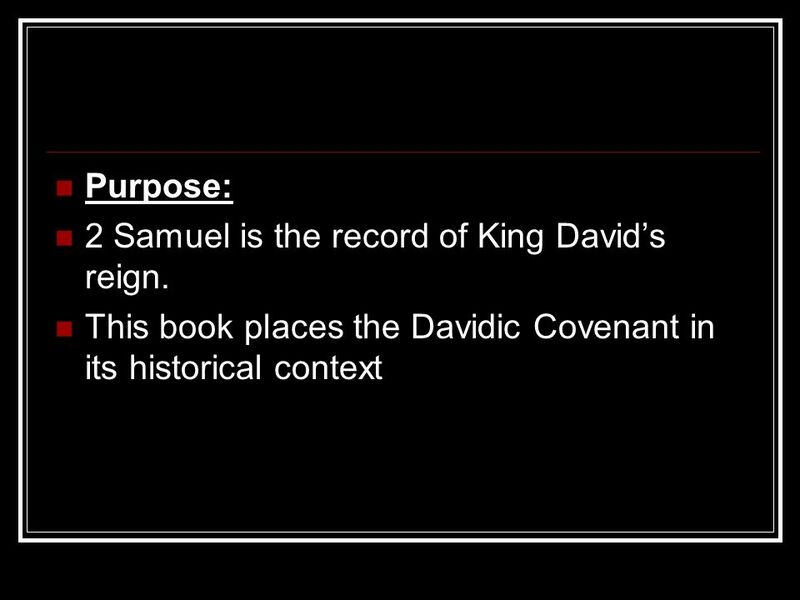 Download ppt "II Samuel Author: The Book of 2 Samuel does not identify its author. It could not be the Prophet Samuel, since he died in 1 Samuel. Possible writers include." The Cost of a Christ-Centered Life II Sam. 24:24 Then the king said to Araunah, No, but I will surely buy it from you for a price; nor will I offer burnt. Worries ? Biblical Accounts of… … Encouragement The Israelites in the Wilderness Elisah & the Widow in 2 nd Kings 4 Elijah & the Widow of Zarapheth. (Josh Jones). Our Father in heaven, hallowed be your name, your kingdom come, your will be done on earth as it is in heaven. Give us today our daily bread. Joshua Israel served the L ORD all the days of Joshua and all the days of the elders who survived Joshua, and had known all the deeds of the L ORD. 4:15 For we do not have a high priest who is unable to sympathize with our weaknesses, but we have one who has been tempted in every way, just as we are--yet. 1 Samuel 13:1-14 “A Heart to Obey – Pt 1” “A Heart to Obey – Pt 1” Pg 254 In Church Bibles. David Numbers the People 2 nd Sam Chron. 21. The Book of I Kings Power Corrupts Ray of Hope Christian Church March 13, 2012. Pg 587 In Church Bibles Chapter 1, Verse 1 2 Samuel 12 & Pg 587. 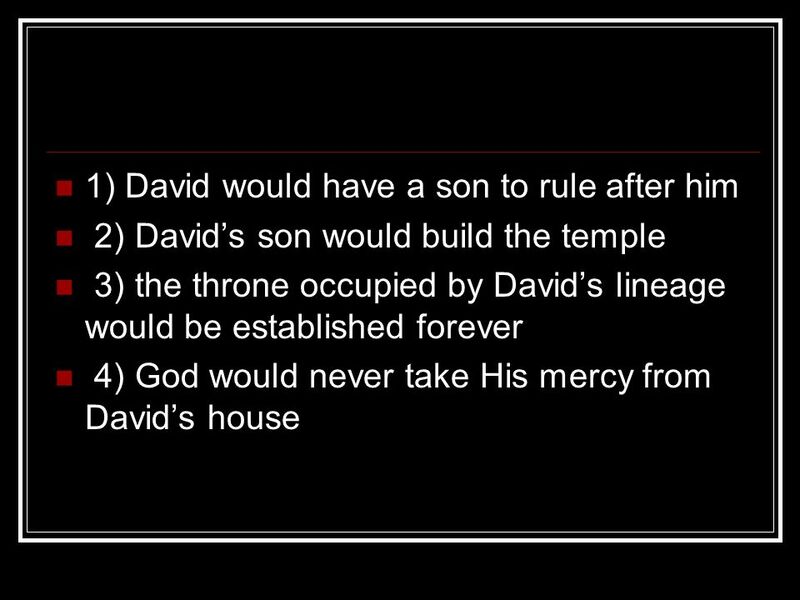 Kings & Chronicles Part 1 I Kings 1-14, II Chronicles 1-12 Nancy G Daniel.